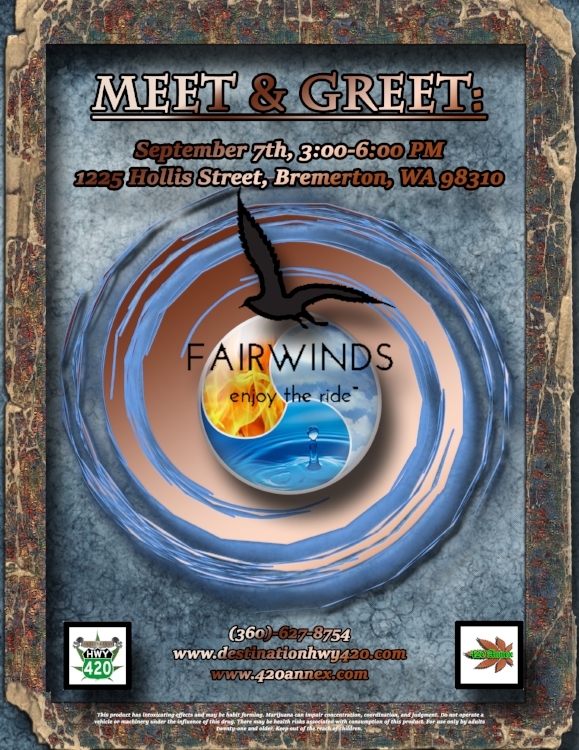 Fairwinds will be at Destination HWY 420 this Friday for a Meet & Greet! 20% Off All Fairwinds Cannabis Products On 09/07/18! This Friday, come meet the Fairwinds team and learn about their unique product selection, honorable business philosophy, and more. This company is highly innovative, they've developed new growing and processing techniques, integrated state-of-the-art technology, and practice ancient medicinal knowledge with a modern day twist. Suffice it to say, Fairwinds is on the cutting edge of cannabis science. They produce new, never before seen cannabis products, and have mastered the techniques for doing so; they have set the bar for premium cannabis products across the U.S.
Fairwinds' cannabis is cultivated in highly sterile and controlled environments. Each different cannabis cultivar is grown in separate clean-rooms that have their humidity, temperature, light levels, CO2 ppm, and other metrics monitored and regulated to precise levels. The benefit from each strains' grow-room having it's own specific environmental settings, is that the individual unique traits such as terpene profile, cannabinoid ratios, and phytocannabinoid content, can be properly developed and expressed. Another reason that Fairwinds is able to produce such great marijuana products, is their attention to detail. Fairwinds is making leaps and bounds towards understanding the full equation of how various subtle environmental stimuli effect the development of each different cannabis cultivar they grow. Changing the temperature by a single degree or keeping the lighting system on for another 10 minutes a day can cause drastic changes in the development of the plant; this is why Fairwinds maintains precision, and attention to detail during every step of their production process. If you answer "yes" to any of the questions below, we've got a great product for you! 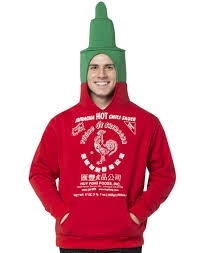 Do you love spicy stuff? Do you love to Netflix & chill? Do you love watching cat videos on YouTube? Do you love playing video games? Fairwinds Sriracha is now available at Destination HWY 420 Bremerton! "In the Fairwinds laboratory our scientists develop new products using traditional herbal formulas that have an established history of effectiveness. Many pharmaceutical drugs today are based on ancient herbal remedies. For example, aspirin is nearly identical to chemicals found in Willow tree bark, which has been used like how aspirin is used (for pain and fever) and has been for thousands of years. Based on ancient traditions like Indian herbology (Ayurveda) and Traditional Chinese Medicine (Acupuncture), we use principles like Air/Fire/Water and Yin/Yang to help define the properties of cannabis, allowing us to properly blend it with other herbs to achieve a variety of synergistic effects. Ancient texts dating back thousands of years from both India and China reference cannabis and its unique benefits. We have translated these ancient references and correlated the proposed effects with modern clinical data. Through this process we have discovered multiple powerful combinations that produce results above and beyond pure cannabis, similar to observations made over 1000 years ago. However, today we have modern scientific instruments and advanced knowledge of biology, allowing us to objectively confirm these effects in clinical studies and maximize them using advanced formulation techniques to enhance absorption and bioavailability." If you'd like to learn more about this amazing cannabis company and their incredible marijuana products, come visit us Friday, the 7th from 3:00-6:00 PM. *The 20% discount goes all day long! Let us know in the comments if there are any specific questions you'd like us to ask them in our video interview. Thanks Best Buds, we will see you all on Friday! Destination HWY 420 is a recreational marijuana retailer with a medical marijuana endorsement, located in Bremerton, WA. Our store is near Silverdale, Port Orchard, Paulsbo, Seattle, and Manette. We have a large selection of cannabis concentrates, flower, prerolled joints, edibles, drinkables, vape cartridges, topicals, high THC, high CBD, glass and more.